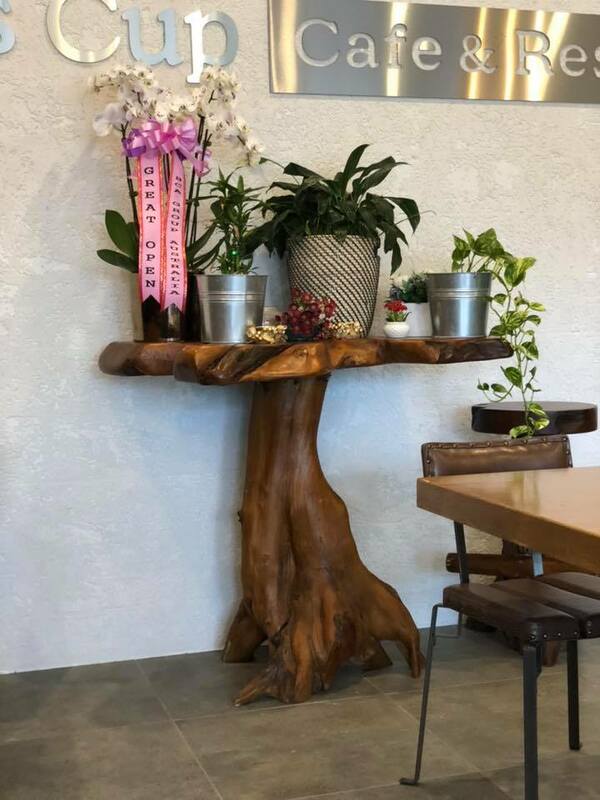 We love new cafes. 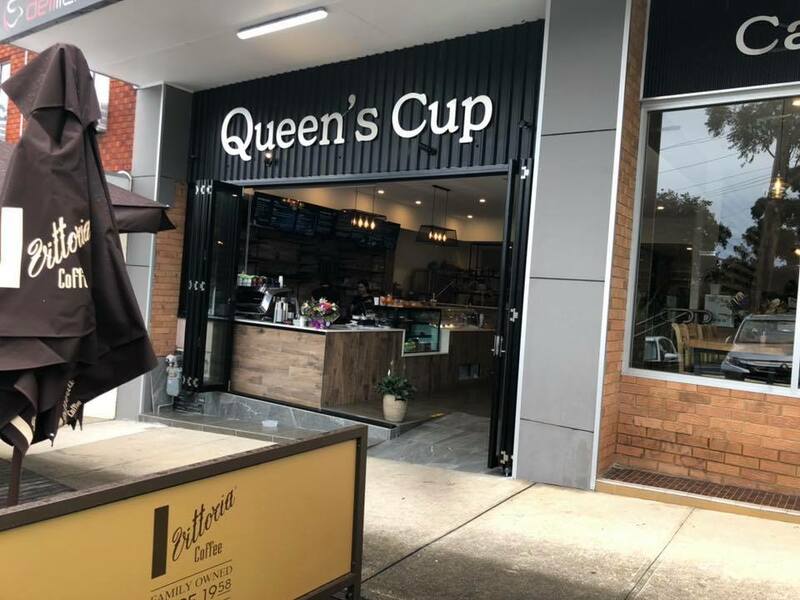 And when we heard the brand new Queen’s Cup Cafe and Restaurant in Oatlands had opened, we couldn’t wait to check it out. And happy report that we loved it! 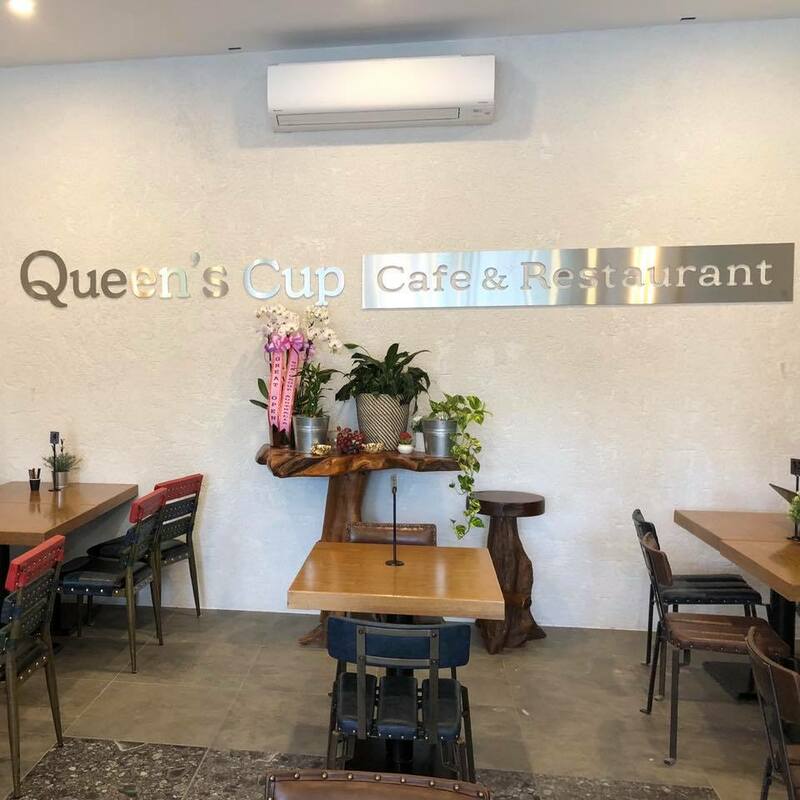 Queen’s Cup Cafe serves up great coffee, delicious food, gorgeous ambience, along with family friendly and wonderful customer service. And with a fully fenced playground just across the road, where you can stop in for a play before or after your meal, the kids will love it too. 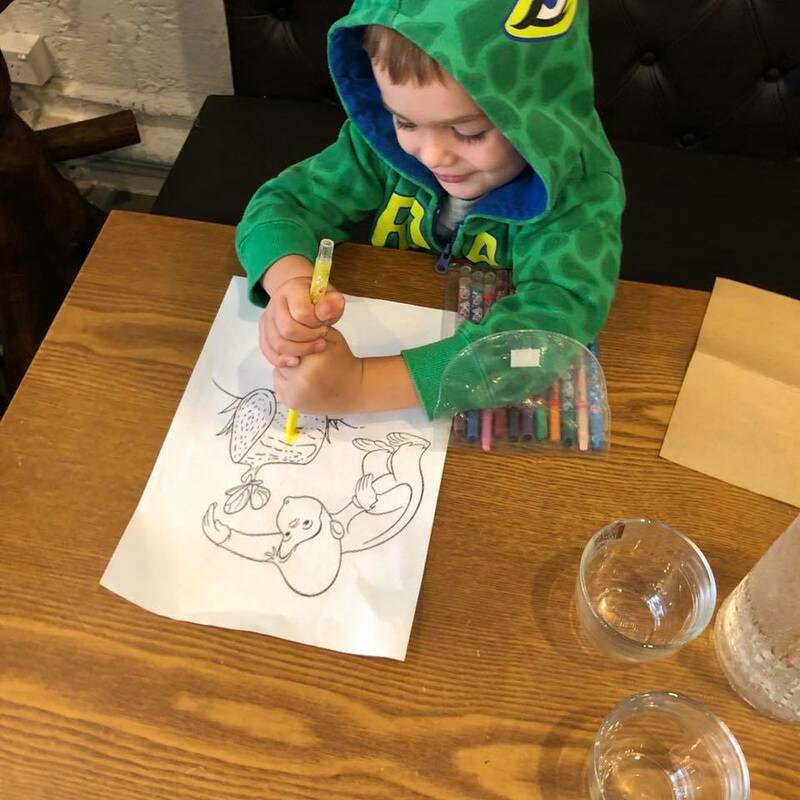 It’s great when you arrive at a cafe and within a minute you have delivered to your table – colouring paper and pencils for the little ones, water for everyone and they are ready to take your coffee order. Customer service was great, professional and friendly. We even had the chef come out from the kitchen and asked if we’d like to try some bulgogi. Bulgogi is a Korean crispy cooked, succulent soy marinated beef. My mouth is watering just remembering how delicious it was. Definitely returning soon to try the Japchae (with Bulgogi!). As you can probably guess the menu has some Korean food choices and a variety of typical cafe favourites. The cafe is still brand new and they are planning to add more menu items soon. 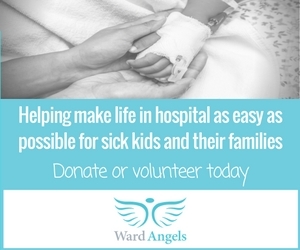 The current opening hours are 7am til 2pm Monday to Friday, 7am til 5pm Saturday and closed on Sunday. They intend to be open for longer hours. I really hope they do. 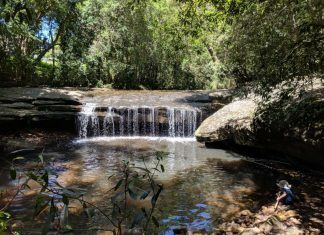 In my opinion the area would love a restaurant (with this quality of food) open for dinner too. Keep in mind that they are doing a ‘soft opening’, meaning they are still tweaking their menu and adjusting things as they settle in. The cafe is spread across 2 floors with a few steps up between them. The lower floor has the open kitchen at the back and a large serving counter where you can order take away. 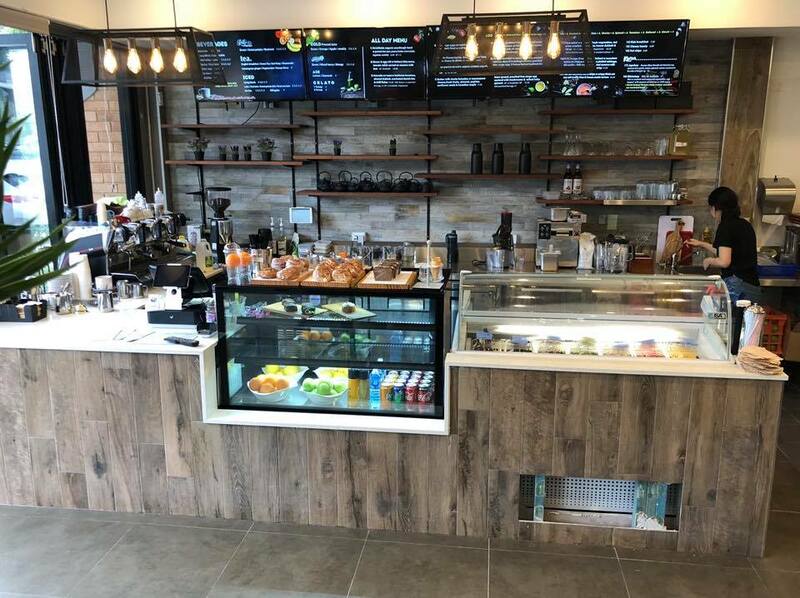 They have the fresh fruits to make juices and smoothies, baristas making coffee, gelato and baked goods such as croissants, banana bread and cakes. Out the front there is a few tables to dine alfresco. And on the 2nd floor are a variety of table sizes to suit your group. 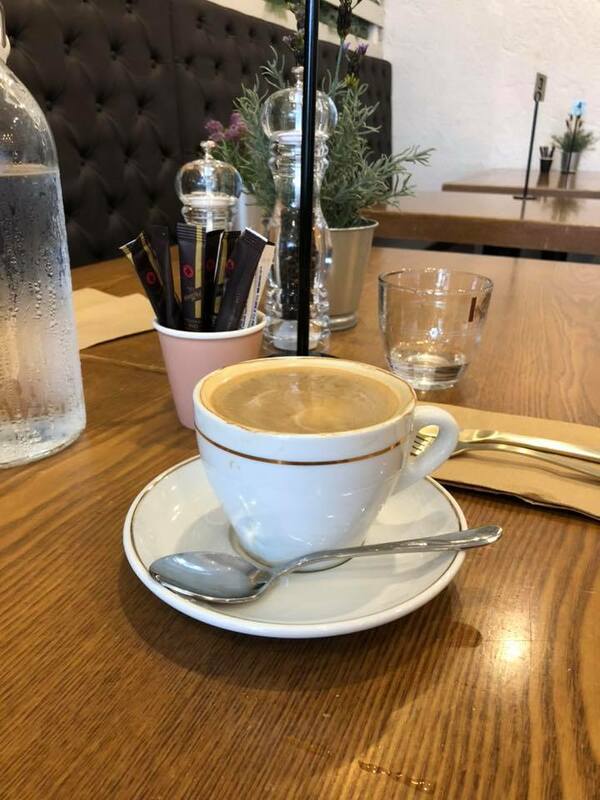 Seems to be more spacious than some other cafes in the area, which is great for mothers group catch ups when you are trying to fit in a few prams at once. 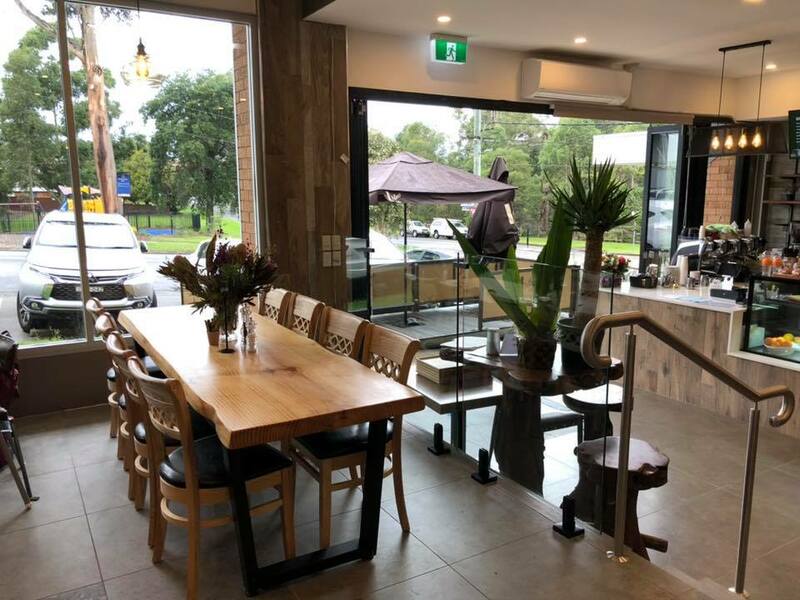 The footpath out the front of the cafe is angled meaning that ‘upstairs’ is still accessible for prams from the front footpath. 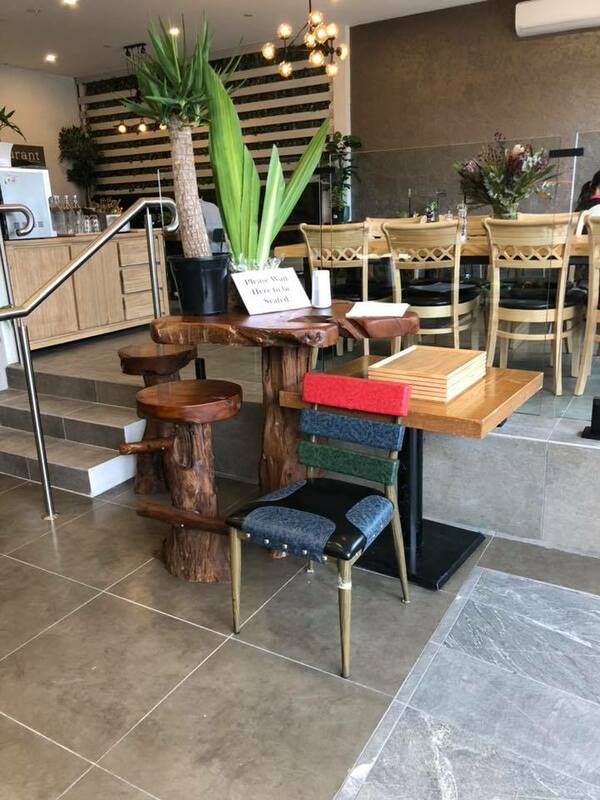 We loved the open floor plan, the variety of woods used for tables, the plants, native flowers, leather bench seating and the unique comfortable chairs. The glass windows across the front of the restaurant let in lots of natural light and give views to the park across the road. 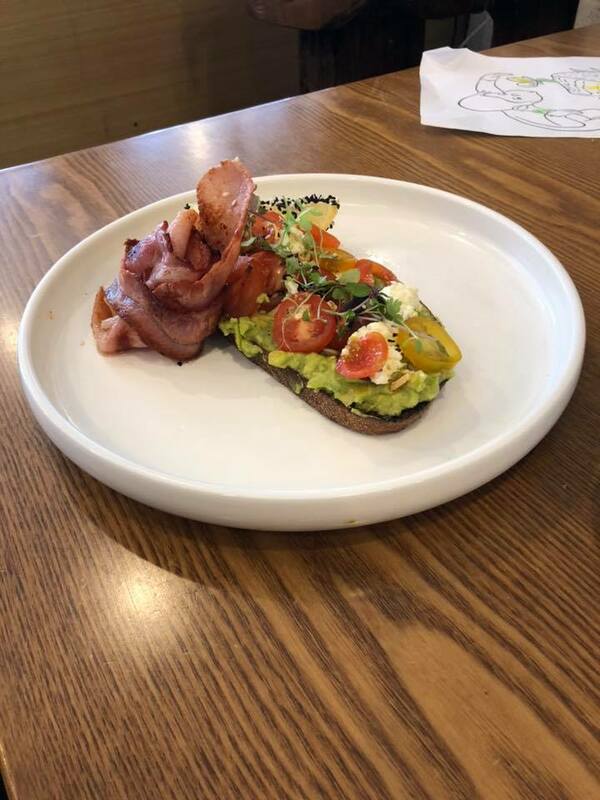 I had the Avocado on Toast with heirloom tomatoes, almond dukkah, marinated danish feta and chilli flakes, with Bacon. It was delicious! My little dining partner had the banana bread but it was demolished before I could take a photo. 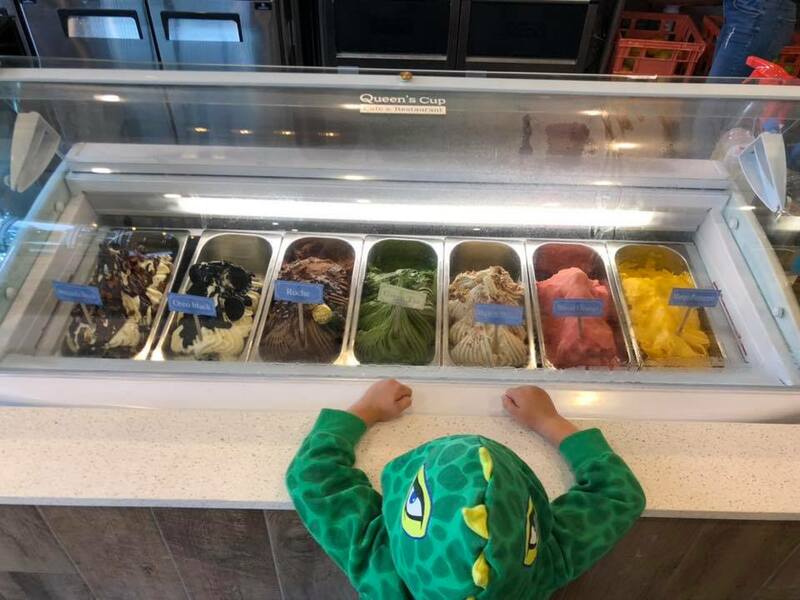 It was a generous serving and he ate every last bite. 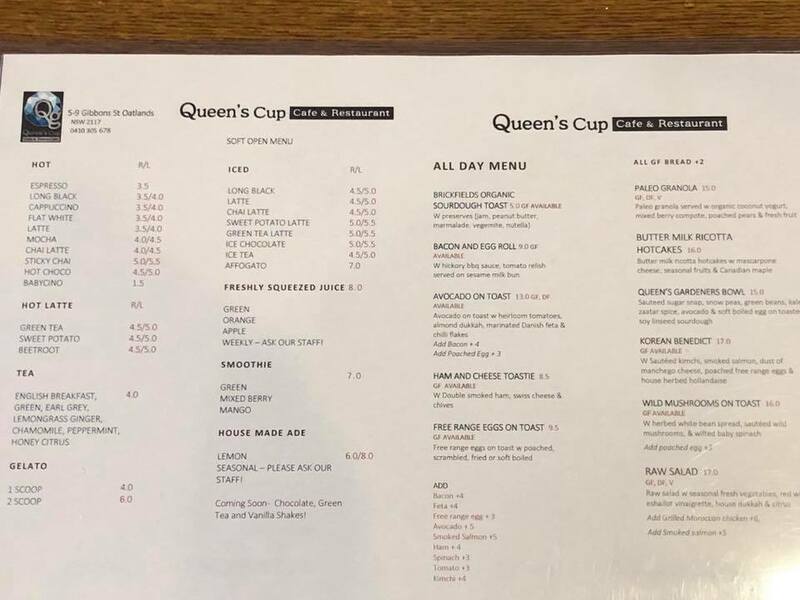 We are also happy to report that they will be giving a $0.30 discount when you get a take away coffee/ tea in a keep cup! 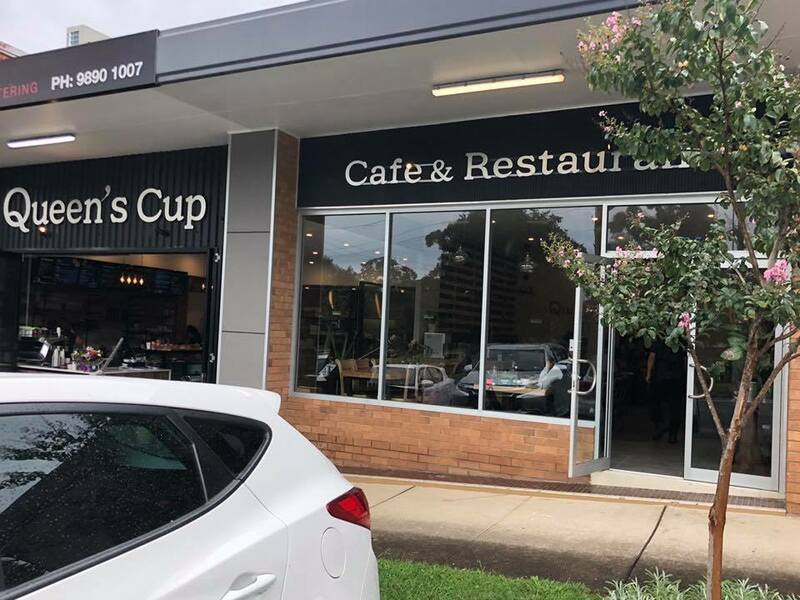 This new cafe can be found at 9 Gibbons Street, Oatlands. Just across the road from Walter Brown Park, with a fenced playground. It replaces Delilicious Café-Deli that used to be there. There is nose to curb parking out the front of the cafe as well as other street parking.